Scrapping coins whose values fall below one peso would be impractical for the Philippine government and unfair to consumers, a government official said on Thursday. The government will also be unable to switch to a purely paper currency system because paper “has a shorter lifespan," the official who refused to be identified told GMANews.TV. The official was prompted to issue this statement after Representative Roilo Golez filed a resolution urging the House Committee on Banks and Financial Intermediaries to conduct an inquiry regarding the “practicability of retiring and demonetizing the centavo as a Philippine currency." House Resolution No. 898 also proposes to “round off cash transaction values to the nearest peso." “Despite the number of coins issued in circulation, demand remains unfilled in many parts of the country because these coins are not being recirculated, or used regularly by the public but instead are kept inside bank vaults, piggy banks, inside drawers, used as washers, or even thrown away as inconvenience," the resolution said. However, the official pointed out that while it is more expensive to produce coins, keeping them in the system is in accordance to the law. Lower denominated coins also serve many consumers who buy inexpensive items, the official added. 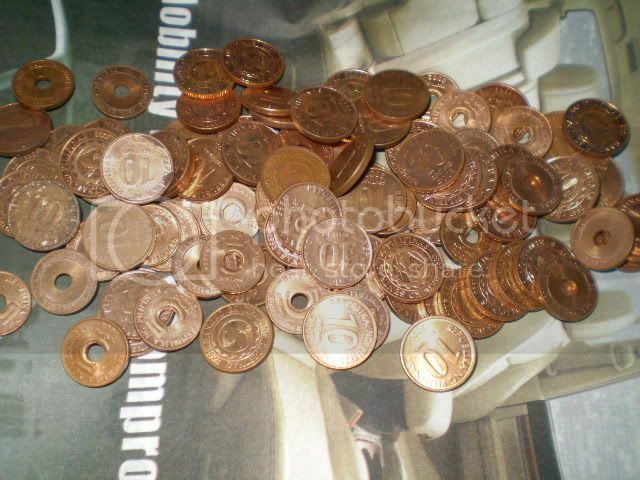 The source said a 25-centavo coin costs as much as 80 centavos, depending on the price of metal in world markets. Meanwhile, SM Hypermarket, which operates the SM Group’s hybrid department and supermarket store, said it sees no unfavorable effect should the said House Bill become a law. The group has been thinking of ways to solve the problem of giving their customers the exact change for their purchases, Robert Kwee, SM Hypermarket executive vice president, said in a telephone interview. “On our own, we're trying to find ways to eliminate the change because we've been getting complaints," he said. Kwee noted that there were instances when the store is forced “with its back on the wall" because even banks had run out of coins. He said that there were times when they were forced to exchange sweets and sweeteners with coins or even reward points to appease irate customers. Itong dela Eva, IT Head for SM Food group, agreed. “We don't see any problem with the proposal," she said. However, Kwee cautioned lawmakers from rushing the proposal, saying that customers must first be consulted about it. “My only suggestion is that we also get the side of the customers because some of them will still want to be given exact change," he said.